Thanks for posting this, and putting the time in to do it right. Many times I am disappointed by tutorials. But yours is at an elite level. 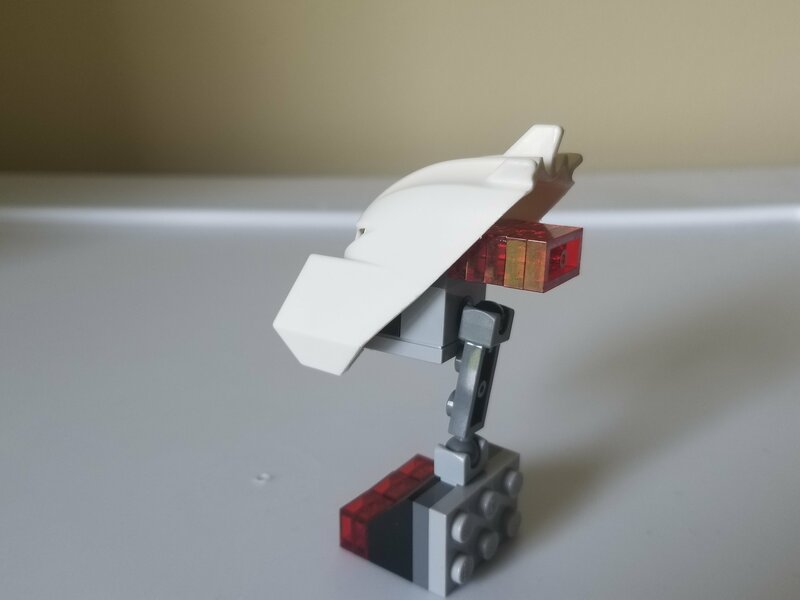 Can you tell me Lego’s part name for that piece the thumb clips onto? I’ve wanted to order some of those on BL but I can’t find them. I don’t know what it is called. Do you know what set it’s from? Is that what it’s called? I’m taking about the black piece that the thumb clips directly onto. I see it all the time in MOCs, so it must be a common part. Yeep, it's called a tap. I don't know for sure if it's the official name, but I'm 90% sure it is. I can confirm, that is the name. Just ordered some off of bricklink. INSANELY late here, but the connection of the mixel ball joint on the neck should be swapped, so the part on the head is female and the part on the neck is male. this is something to always keep in mind when using mixel joints, as it does matter with the possibility you get from it. by having male on the head and female on the neck, you require a second ball joint in the neck to allow for effective swivel. by having it the other way round, you get head rotation and tilt up and down. you do, however, sacrifice side to side swivel, but that is the deal with mixel joints. this is something to keep in mind at all times when mocing. "how will this decision affect the posability of my moc, as there will always be limitations inherent to the system. For this tutorial I will show you how to build a sailboat with eight pieces. You will need two standard long haired wigs in brown, a white triangular flag, two Apollo studs in any color, a 1x2 half liftarm in any neutral color, and two cut bits of rigid hose. The longer one can be any neutral color, and the shorter one can be too, but I chose white. The shorter hose must be approximately 1.5 cm. The longer hose must be approximately 2 cm. Attach the pieces like this. Add a sail and now you're done. You can add some transparent studs underneath to give it some water to sail on. Anyone got a ldd file of Kraata-Kal Kal as shown in the dark Hunter book? Also, I'm not gonna show them yet, but I have some custom rahkshi pieces (arm, armor, etc) that are pretty easy to make with the power of an exacto knife. Would that be allowed? Okay then! I'm not even gonna try. He hasn't made it yet, but he probably will. Thanks! Also, do you want a moc based of of your avatar? No? Too bad. Im not saying you are doing it. Zero will probably get one too. Also, does anyone have a skirt design, trying to make the flatwoods monster :P.